National changes were implemented from 1 December 2017 which affect the way electricity metering is supplied and managed. The intention was to facilitate retail competition and assist the roll-out of advanced meters (aka smart meters). In Tasmania this resulted in the responsibility for the installation of new and replacement meters transferring from TasNetworks to Aurora Energy. Aurora Energy have appointed Metering Dynamics to carry out this work, and Metering Dynamics have in turn contracted with Lendlease for the actual installation of meters. Over time the availability of advanced meters will assist customers to access new services and get more detailed information about their energy use. However the new, more complex administrative arrangements and the additional complexity of installing advanced meters have led to delays and frustrations for Electrical Contractors and their customers. This FAQ is intended to help Electrical Contractors and their customers navigate these changes. I’m interested in getting an advanced meter, how can I arrange this? Will I get a new meter if I upgrade my solar installation? Will I get an advanced meter if I change tariffs? Will I have to pay for an advanced meter? How do I get access to energy usage data once I have an advanced meter? Can I access my energy usage data on Aurora Online? Can an electrical contractor install advanced meters themselves? What if my existing meter has an asbestos panel? Are new advanced meters larger than basic meters? Aurora Energy is currently providing advanced meters on a new and replacement basis only. You can contact Aurora Energy to opt in for a meter replacement. However, you will be placed on a waiting list, and meter exchanges for customers the have opted-in are not yet being scheduled. In most cases a meter exchange is not required. Where the customer is moving from a single-phase to multi-phase, a meter exchange will be required in all cases. In most cases, if you request a tariff change, for example switching from residential T31/41 to Time of Use Tariff 93, your meter will be exchanged with an advanced meter. However, a new meter is not required in all cases. For example, a customer removing off-peak Tariff 61/62 may have this tariff wired to a separate type 6 meter, in which case the tariff can simply be removed. In this situation, the customer will need an electrical contractor to disconnect the off-peak circuits first and submit an Electrical Works Request (EWR) to TasNetworks to trigger this process. Not in most cases. The cost of metering is included in the standard Aurora regulated tariffs for residential and small business customers. For information on circumstance in which you might be charged see the Aurora FAQ. One of the advantages of advanced meters is that they record and upload detailed information about electricity use. This can be useful to inform decisions such as whether to get or upgrade solar PV, invest in batteries or change tariffs. Commercial services such as Solar Analytics will also allow you to access consumption data as well as get real-time displays of your energy usage, however this does requires purchasing and installing separate monitoring equipment and paying a subscription fee. Advanced meter data is free (once you have an advanced meter installed) but is currently more difficult to interpret. Aurora Energy can provide you with your usage data up to four times a year free of charge. It will be provided in CSV format which can be loaded into a spreadsheet. Contact Aurora Energy directly to discuss your request so that they can provide you with the level of detail you require. Not yet. However, Aurora Energy is working on new products which will provide this information. In the first instance, any electrical work requiring a meter changes (including solar installations and new connections) should be lodged with the TasNetworks via their Connections Portal. TasNetworks will contact you if additional information is required. Once TasNetworks have completed their assessment, if a new or replacement meter is required, your request will show as “Passed to retailer”. As a result of the changes to metering TasNetworks is no longer responsible for installation of new and replacement meters. 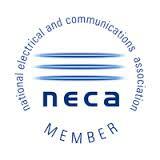 As a result the capacity for ECs to qualify as TasNetworks Accredited Meter Installers (AMIs) no longer exists. Lendlease (who are contracted by Metering Dynamics to install meters) have agreed to establish processes for additional ECs to be approved to install meters under the Metering Dynamics arrangements. This arrangement requires the EC to have a number of qualifications including the national UEENEEG171A. To find out more about this arrangement please contact TREA. TasNetworks is responsible for upgrading meter panels containing asbestos. TasNetworks panel replacement will be like for like and will occur prior to installation of new or replacement meters by Metering Dynamics. If the customer is relocating a metering installation or changing metering from single phase meter to three phase the customer will need to engage an electrical contractor to upgrade the meter panel. TasNetworks has arrangements with Metering Dynamics allowing them to replace asbestos meter panels on TasNetworks behalf where the meter panel is a standard size. New panels can usually be installed on a first visit but in some more complex or non-standard installations TasNetworks are engaged to undertaken the build and replacement of meter panels for these sites. TasNetworks are currently working on changes the Connections Portal to allow ECs to include photos of non-standard size, multiple tenancies meter panels when submitting an EWR, noting any complications so that Meter Providers are aware of the situation prior to a visit. This depends on the meter type. Some of the older meters are smaller or the same size. For customers transitioning from a single-phase to multi-phase connection, the meter will be larger. For single-phase meters, the existing meter board is generally large enough to cater for an advanced meter exchange and no additional work is required. In situations where there is not enough room, Metering Dynamics are instructed to consolidate the metering, where possible. Unfortunately, in the case of multi-phase meters, it is not always possible to consolidate metering. If this situation occurs, Aurora Energy would work with the individual customer to identify a suitable solution. TREA members who are having difficulties or unreasonable delays with meter installations can pass on details to TREA (0407 408 86, or eo@tasrenew.org.au) and we will follow up individually with Aurora.